Our dealership offers highly trained, professional staff experienced in these types of repairs. When your check engine light goes on, visit the professionals here. You'll be glad you did! Your check engine light is intended as a signal to the driver that there is an issue requiring attention. Modern vehicles are run by a system of computers under the hood. These computers communicate vital information to one another on things like fuel-to-air ratios, RPMs, and emission levels. When a problem is detected, your vehicle will turn on the check engine light-- part of your vehicle’s On Board Diagnostics system-- to tell you that something is wrong. A flashing check engine light indicates a severe problem, and it is strongly recommended that you pull over as soon as it is safe, turn the vehicle off, and have it towed to your service facility. This could indicate a major misfire, which causes your powertrain to run hot and can have negative effect on components in the emission system, including your catalytic converter. It is vital to your vehicle’s health that a check engine light is diagnosed and corrected as soon as possible. Some things, like the failure of a catalytic converter, usually happen because other components were malfunctioning for too long and caused a chain reaction. Taking care of this concern quickly will prevent further issues and extend the life of your vehicle. Check engine light services require a higher level of expertise than some things, which is why it’s best to visit the dealership for services like these. Our certified, factory-trained technicians have the knowledge and skills to diagnose and correct the full range of issues that trigger your check engine light. 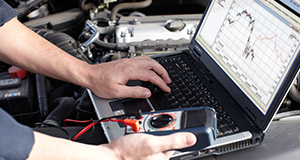 These technicians will know exactly what to look for, as well as what issues may be more common than others on your specific vehicle. Our dealership uses only Original Equipment (OEM) parts. With highly technical repairs like these, it is especially important to use parts that are an exact fit. The unfortunate downside of aftermarket parts is that they are made to be retrofitted to fit many makes and models. This poses issues for more sensitive systems, because it allows for more leakage and looser fits. They may require additional seals, clamps, or shims to fit your vehicle. Repairing your vehicle with only high quality OEM parts will get you back on the road faster and keep you there longer. OEM parts are ideal, exact matches to what is on your vehicle from the factory. 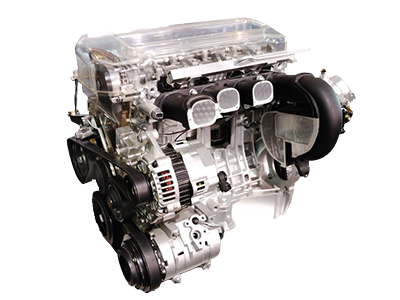 Using the right parts is necessary for the computers and modules under your hood to communicate properly, and it virtually eliminates future issues due to poor fits or leaks.